Whether on a business trip or on a trip, once the schedule is finalized, this plan first. The fastest way to stay at an early reservation! The large public bath of natural hot spring on the top floor, entrance evening and morning all day! A recommended plan for those who use it in business appeared! 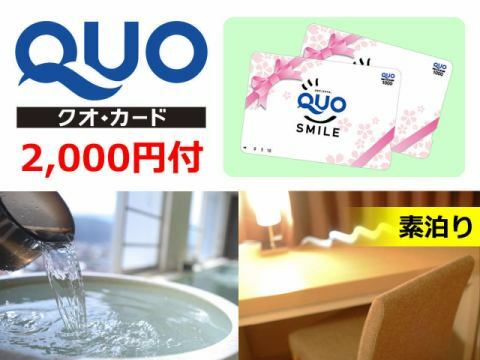 It is convenient "plan with QUO Card" that you can use at about 45,000 stores nationwide. We will make the receipt at the amount including the amount of the QUO Card. Perfect for a couple's dating stay! 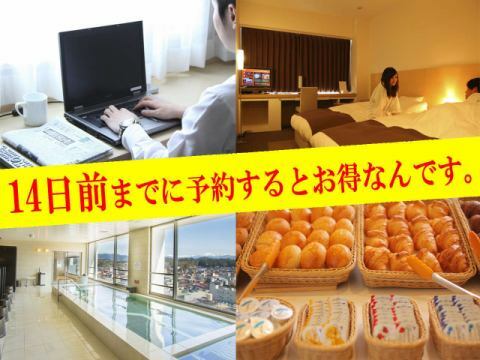 It is a recommended plan that allows two people to stay together and stay comfortably in a spacious bed (* ^ ー ^ *) With breakfast buffet of girls' favorite freshly baked bread!